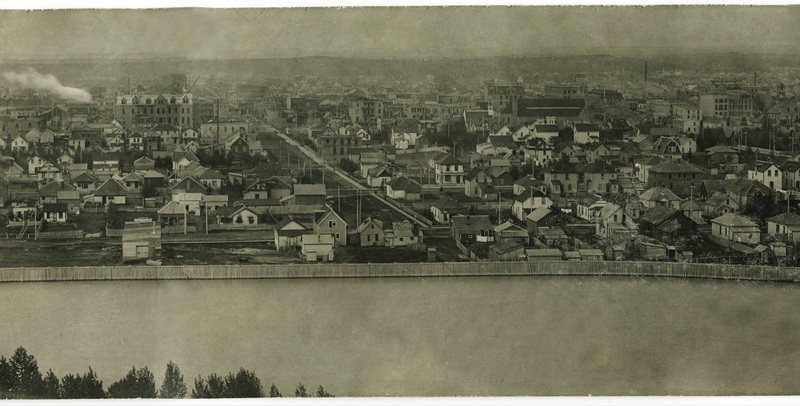 To really to get to know the city’s history, one must travel back in time and stay high above the ground. It’s all about perspective. 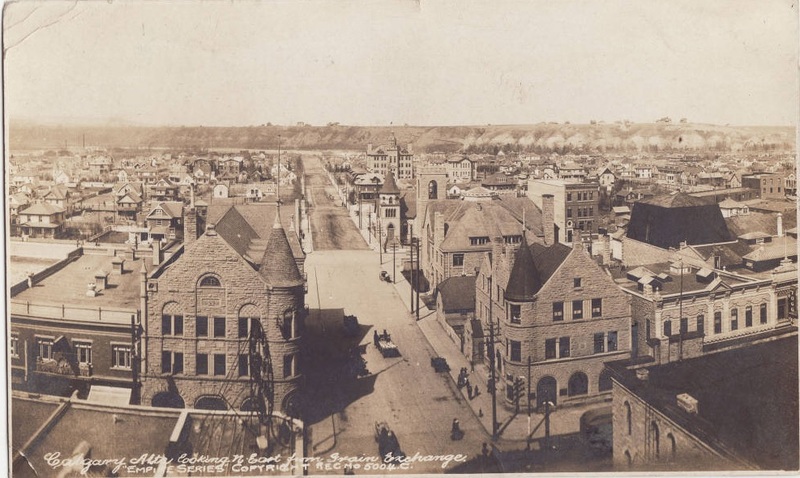 The Alexander Block is on the left side of the street and the Bank of Montreal building, Central Methodist church and First Baptist church are on the right. 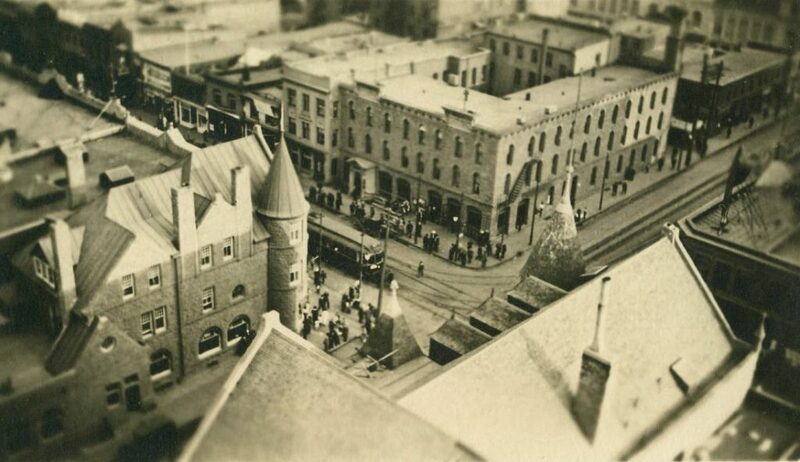 The six-storey Grain Exchange was one of the tallest buildings in Alberta when it was completed in 1909 for a cost of $164,000. 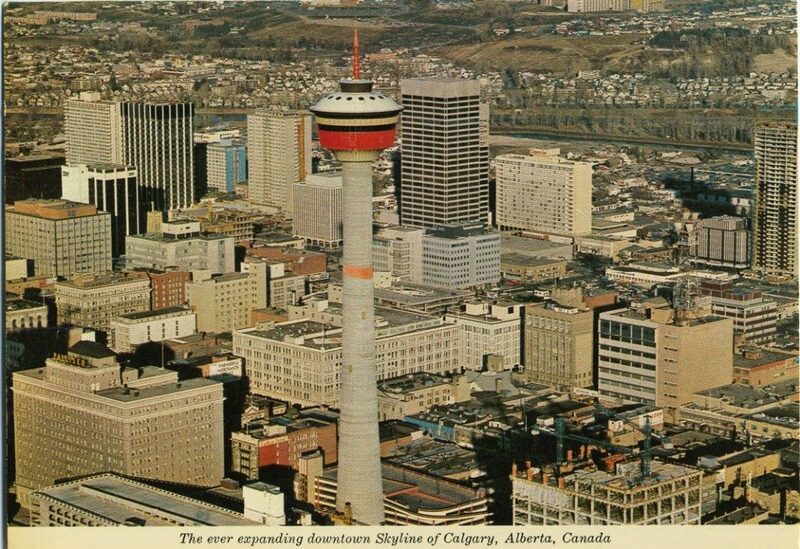 To put that into perspective, the province’s current tallest building, The Bow, was completed in 2013 at a cost of $1.4 billion. 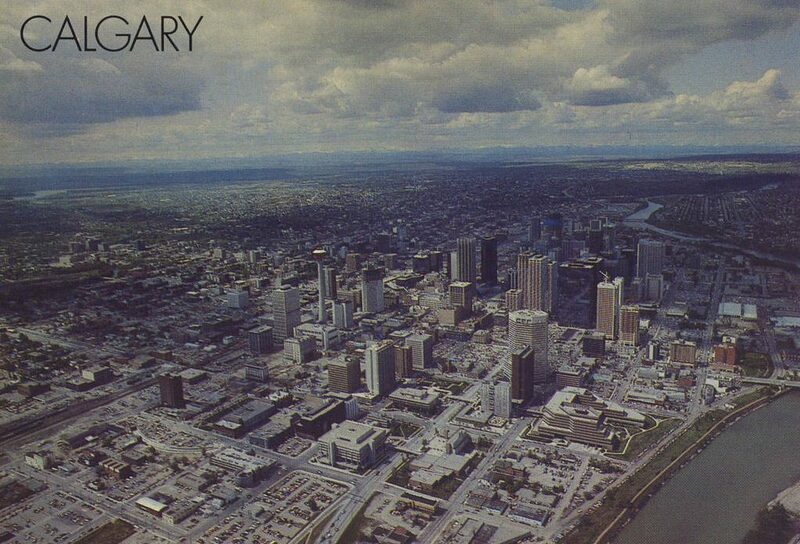 Yep, Calgary has seen just a wee bit of development over the last 35 years. 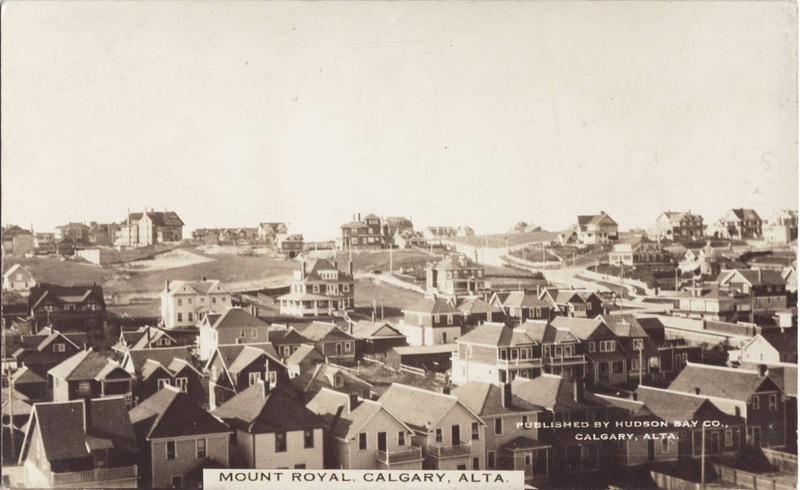 Calgary’s exclusive Upper Mount Royal neighbourhood used to be called American Hill, named for the large number of US immigrants who bought land in the area in the early part of the 20th century. At the turn of the 21st century, Americans still made up 29 per cent of the residents. 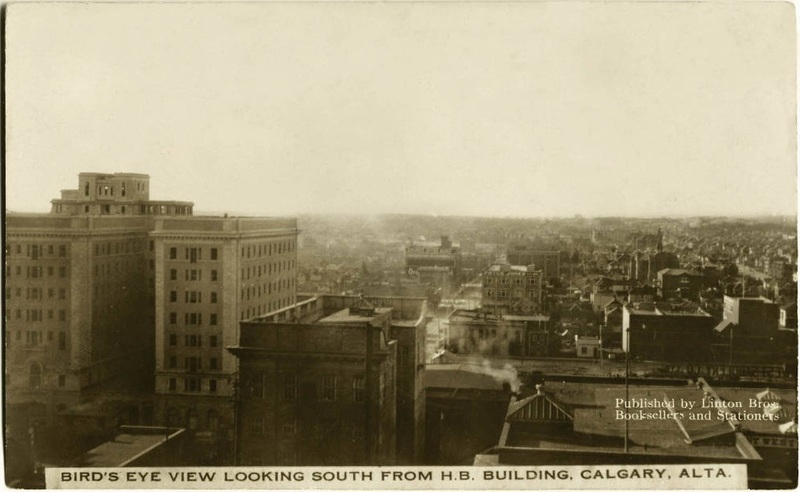 The tallest building in this picture, the newly completed Fairmont Palliser Hotel, was the tallest in the city at the time the photograph was taken. It held onto that distinction until 1958 when construction on the 20-storey Elveden Centre wrapped up. 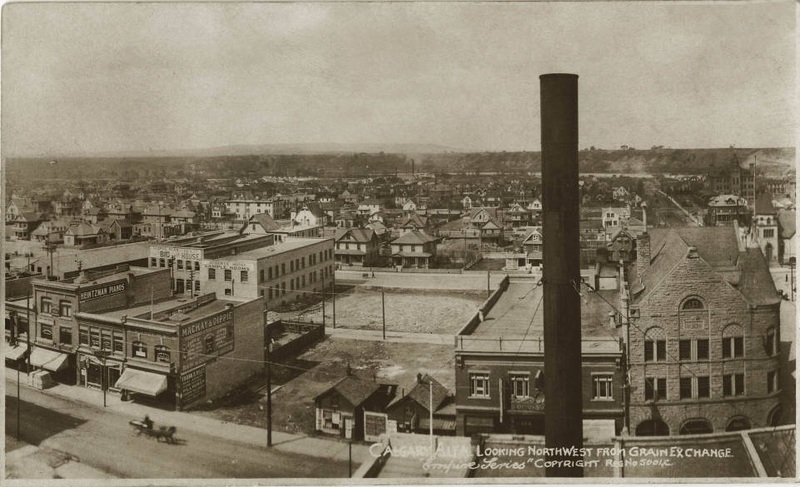 While no exact date is given, we know the photo was taken sometime around 1918 because the building under construction is the Lancaster Building, which was completed in 1919. 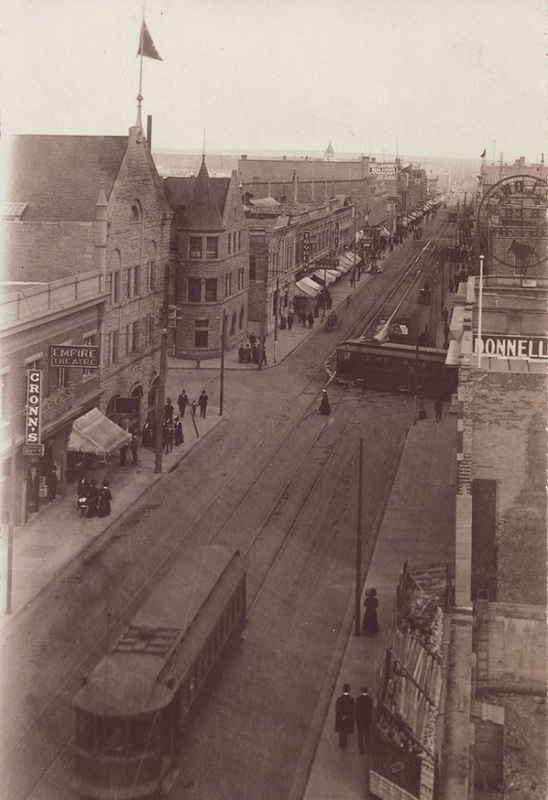 Before the City of Calgary switched from street names to numbers in 1904, 8th Avenue was called Stephen Avenue, named for Baron George Mount Stephen, the first president of the Canadian Pacific Railway. Here we have a close-up look at the Robin Hood Flour mill. 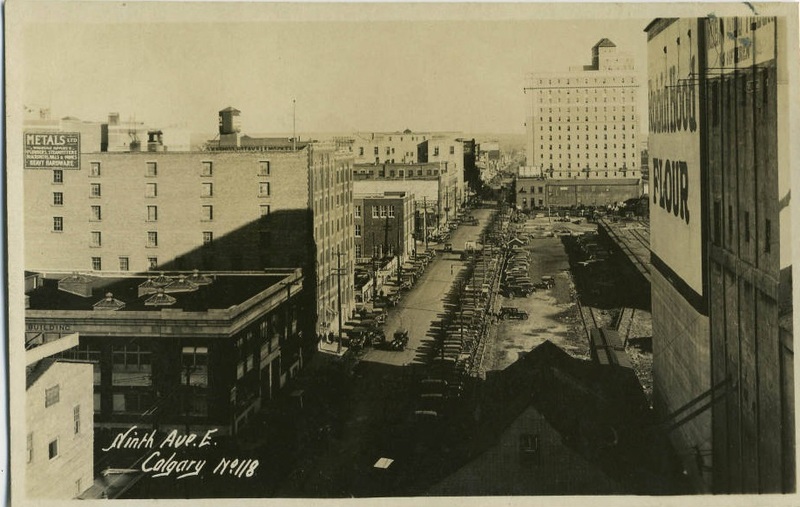 Built around 1910, in its heyday the mill ground 105 million litres of Alberta wheat annually into 9.5 million kilograms of flour destined for international markets. Declining production brought on by a loss of export markets contributed to the closure of the mill in 1969. 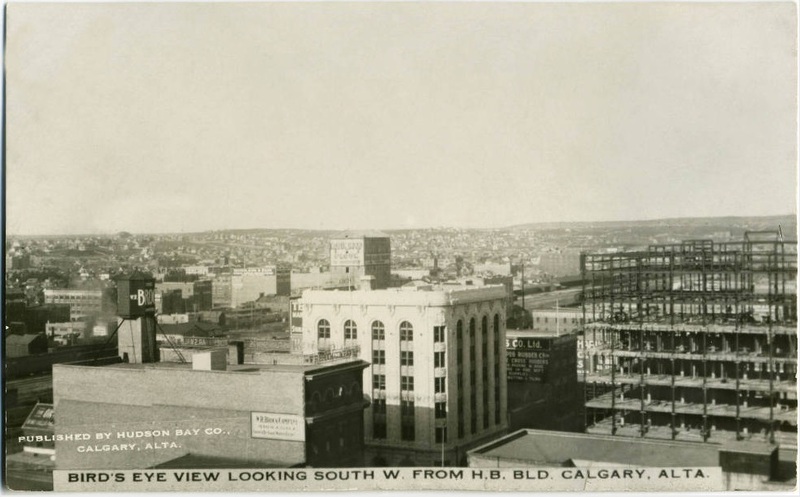 The building and its iconic sign were demolished a few years later. 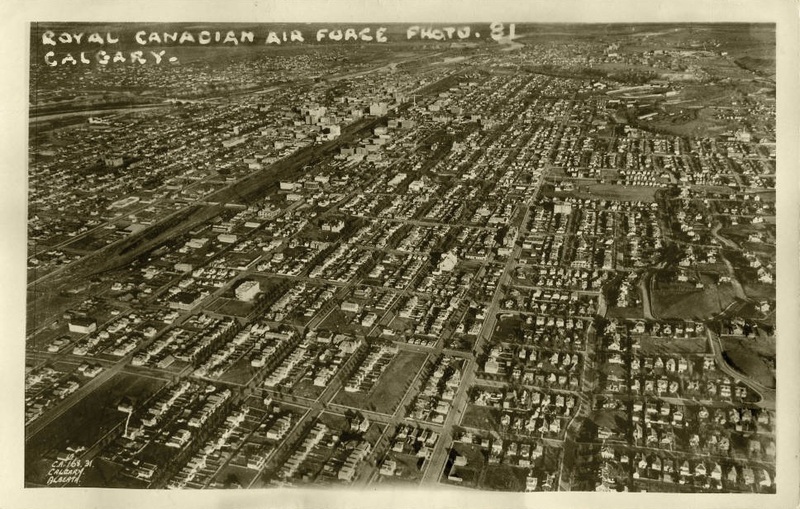 This aerial view of the city was taken by a member of the Royal Canadian Air Force during World War II. 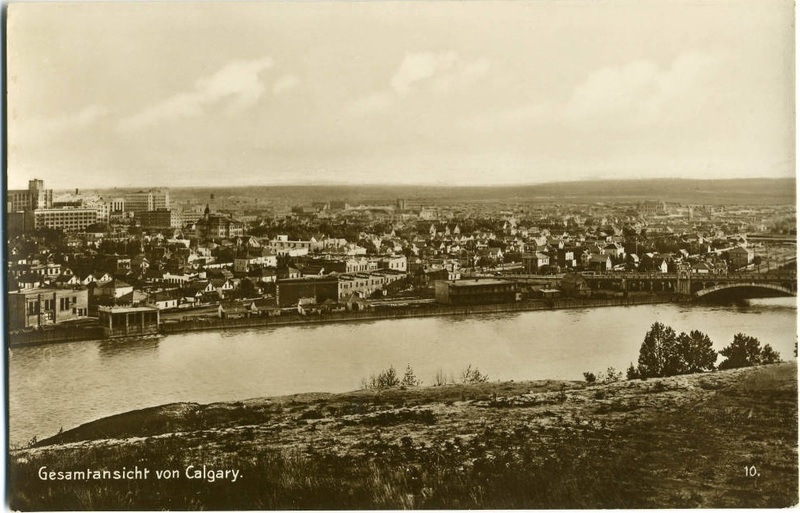 A handwritten note on the back of the postcard, dated 1912, reads: “Calgary-taken from the North Hill about 12 months ago. City Hall there under construction. 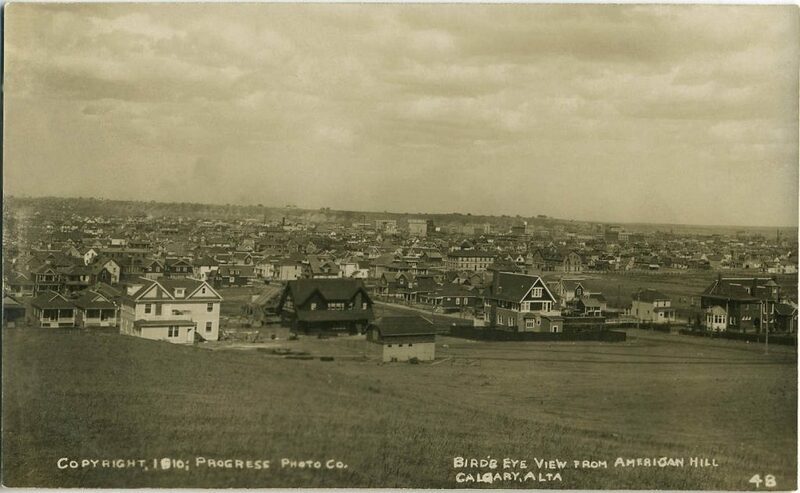 The clear portion of the photo shows what really was old Calgary. There are twice as many people living outside the radius of this picture as there are in it.” The note was addressed to a Mrs F.B. Hartney at 8 Ford Street West in Toronto, Ontario. 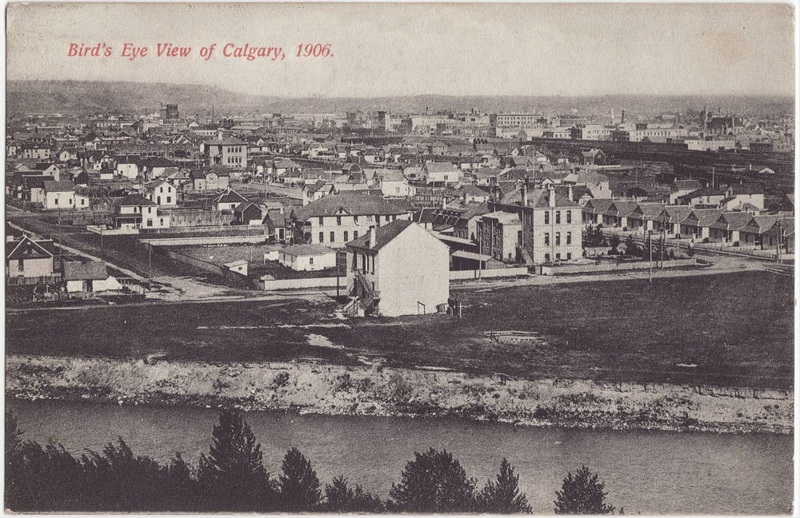 With the bank of the Elbow River in the foreground, this aerial view shows Rundle Lodge, the second Calgary General Hospital, built in 1895 and demolished in 1973. 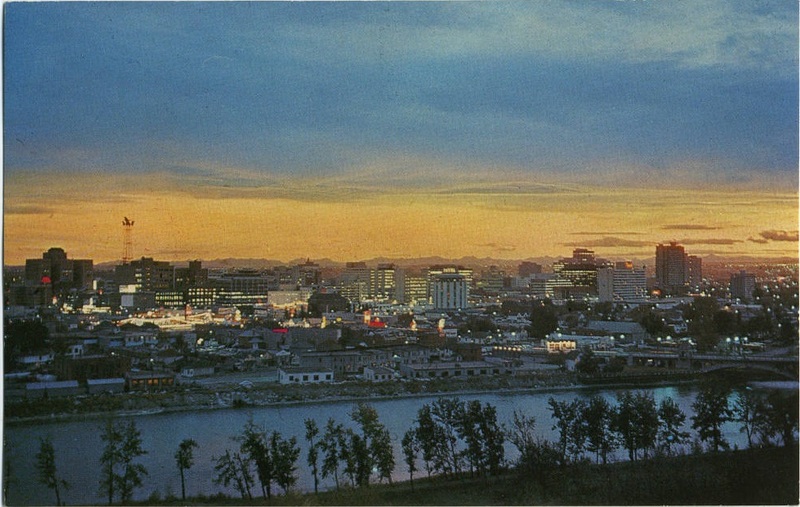 A portion of the structure was incorporated into a park scheme which was dedicated in 1974 as “Rundle Ruins” by then-Alberta Premier Peter Lougheed. 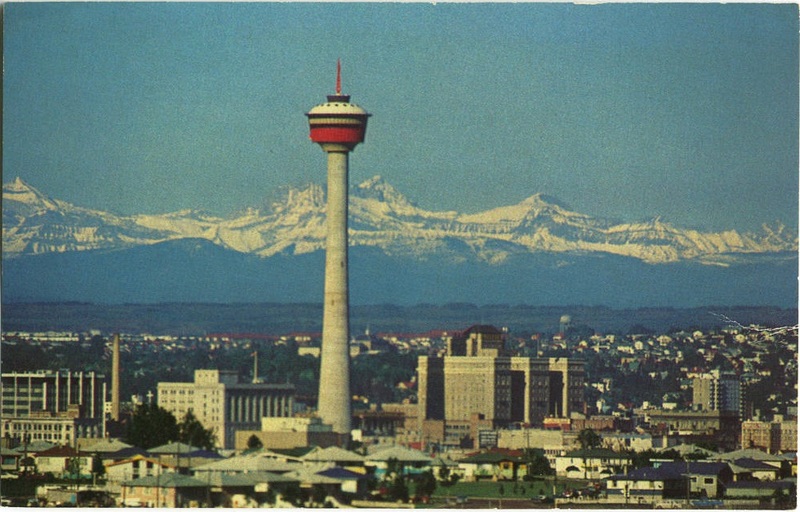 The Husky Tower was the tallest free-standing tower in North America when it first opened on June 30th, 1968.